It involved basketball. As a high school senior I planned to attend college, study Journalism and play basketball. 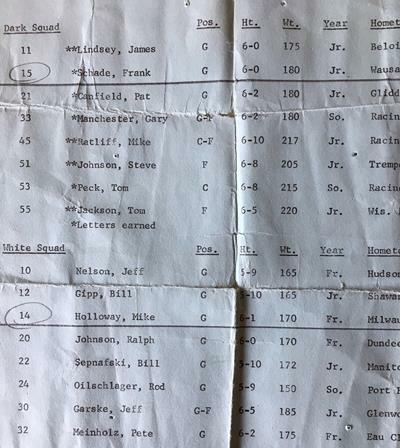 We were each basketball players. We each played point guard. I did not beat him out. He played in the NBA (#15). I learned how good I wasn’t (#14). Now my competitive court (on behalf of clients) is real estate. I’m an Exclusive Buyer Agent at Homebuyer Associates. Many agents call themselves buyer agents. (We are each basketball players. Get it?) Let me explain. We recently had 4 clients purchase condominiums in 3 different developments. Each unit was identical (as condominium units often are) in terms of bedrooms, baths, parking spots, interior materials and square footage. It is rare to find circumstances that allow for an “apples to apples” comparison. This was one. The results? Let’s call the developments our clients bought into D-1, D-2 and D-3. D-1: Five condominiums (remember, identical) sold in the past year. The selling prices were: $380,000; $367,000; $365,000; $350,000 and $343,000. Homebuyer Associates represented buyers in 2 of the sales. Care to guess which two? D-2: Three condominiums sold (identical) in the past year. The selling prices were: $363,000; $360,000 and $350,000. We represented the buyer in 1 of the sales. Care to guess which one? D-3: Two condominiums sold (identical) in the past year. The selling prices were: $204,500 and $196,500. Do I have to ask? I created the concept of Buyer Agency in the State of Wisconsin. Last year I took a class offered by the Wisconsin Realtors Association on “How to Be a Buyer Agent.” I passed the course. What I learned over 3 days of instruction is the Realtor Association’s “buyer agency” approach is more along the lines of fiduciary “suitability” I wrote about in my last newsletter where I stated financial advisors may make a recommendation that is “suitable”, but may not be the best for you.” For this the broker/agent might make a premium in commission. Suitability appears to be the approach of the Realtors Association and other buyer agents. It is not the approach of Homebuyer Associates. Our clients get more than suitable, they get information to make choices that appear to have favored Homebuyer Associates’ clients over other buyers (see above examples). As I discovered in basketball, buyer agents are not all created equal. Homebuyer Associates may be the NBA of buyer agency. Back to that equal thing, basketball is behind me. 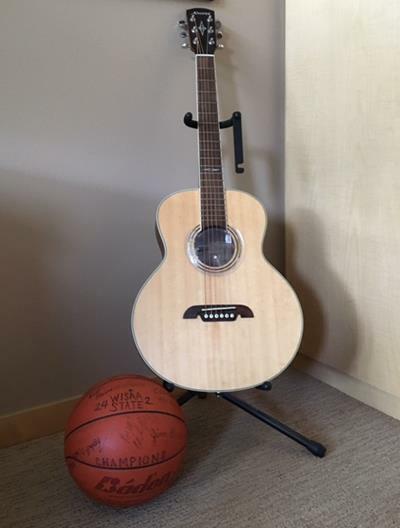 Acoustic guitar is my new basketball. On the rare occasion I sit and play guitar with my nephew, Seamus Holloway, I’m reminded he’s the guitar equivalent of the college point guard I couldn’t beat out. Here’s the take-away. If you don’t use Homebuyer Associates at least pay attention to present days on market, past days on market, what the seller paid, owner occupancy rate, area comparable sales in the past 12 months and 4 or 5 other things I won’t bore you with.